Stand-alone DIY store opposite Asda foodstore. 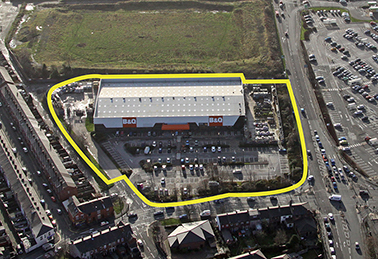 The B&Q store comprises 40,000 sq ft plus a 9,800 sq ft garden centre. Sold to Equitable Life.